The recent post at Mindful Pleasures about Alberto Manguel’s The Library at Night also mentioned his [Brian’s] own collection of a ‘mere few thousand books’ compared to Manguel’s ‘obsessive 30,000, ten thousand more than even Susan Sontag was able to amass.’ Sontag’s, in turn, is comparable with William Gass’s 20,000 books. 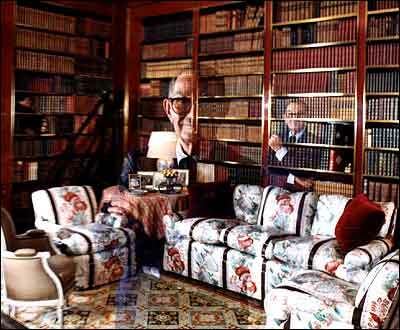 Augustine Birrell’s delightfully stern remark: ‘To be proud of having two thousand books would be absurd. You might as well be proud of having two top-coats. After your first two thousand difficulty begins, but until you have ten thousand volumes the less you say about your library the better Then you may begin to speak. You do often feel when you read academic criticism, not that I do it much, or when you hear academics talking about their books, that they forget that theirs is a secondary activity. They forget that however important a critic is, a first-rate critic is always less important, and less interesting, than a second-rate writer. Their job is, firstly, to explain, but secondly to celebrate rather than diminish. The list is in no particular order. It could have easily grown to twenty and included work of Cyril Connolly, William Empson, Joseph Brodsky or Viktor Shlovsky. Using only books you have read this year (2009), answer these questions. Try not to repeat a book title. It is difficult to admit to a flaw in Flaubert, any lapse in late Cézanne, or to say that Schoenberg had perhaps not found the right way, or that certain magisterial albeit monotonous and soporific works of our Modern Movement were a mistake, a mistake worse than dreadful – merely dreary. It is difficult because the enemy is still out there, growing stronger with every so-called advance in the media, in the scoop-up profit of its enterprise and the passivity of the experience it provides, growing more Philistine, more commercial, more hopelessly “pop” during every advertising break, through every sappy sitcom minute.